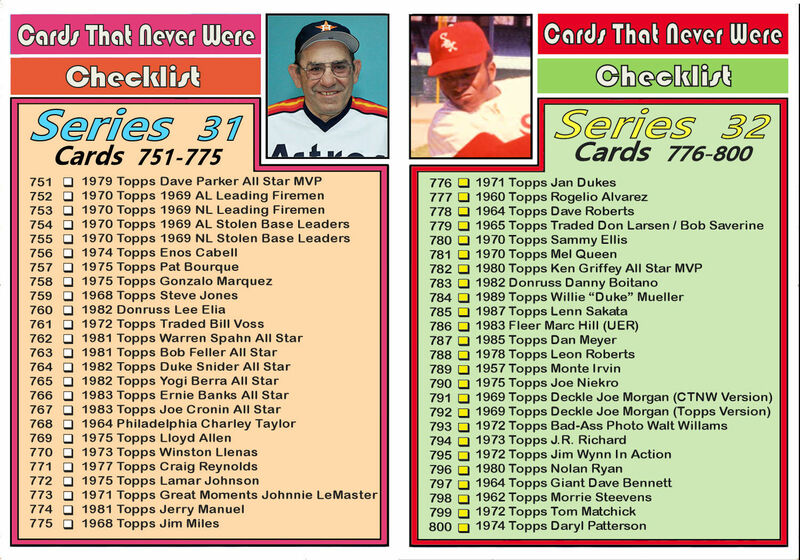 Getting back to one of my older themes, making horizontal cards of the All Star Game MVPs. 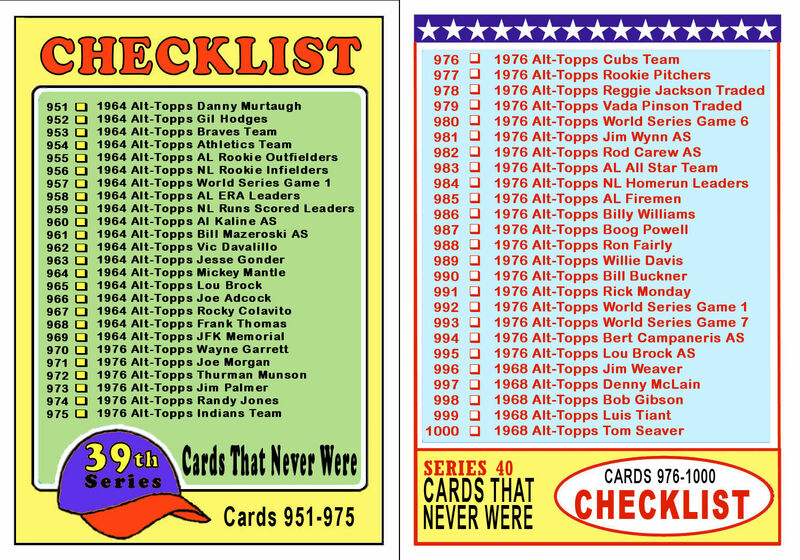 Due to the dark background, I decided to deviate from the original design by using a white facsimile signature instead of the regular black used in the 1977 set. 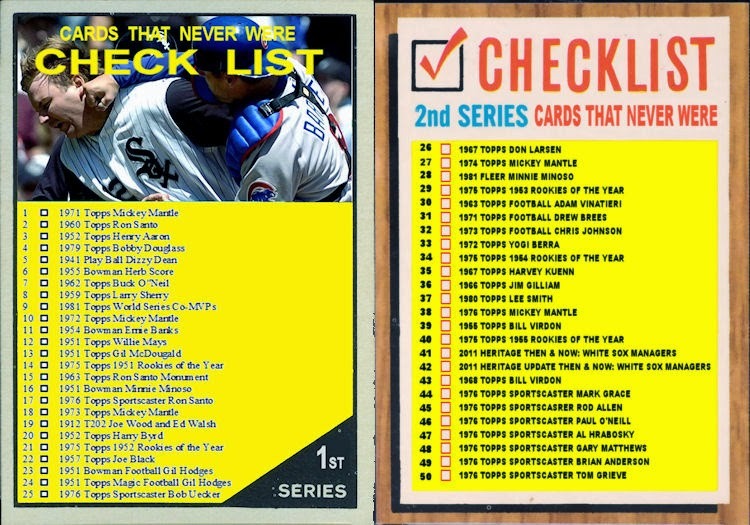 I borrowed this idea from Mets Cards Like They Ought To Be! 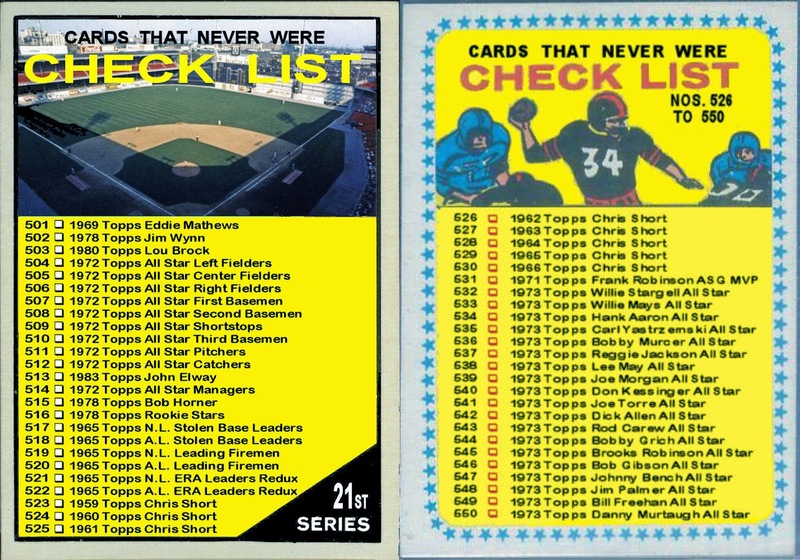 The 1977 All Star Game started out as another NL rout. 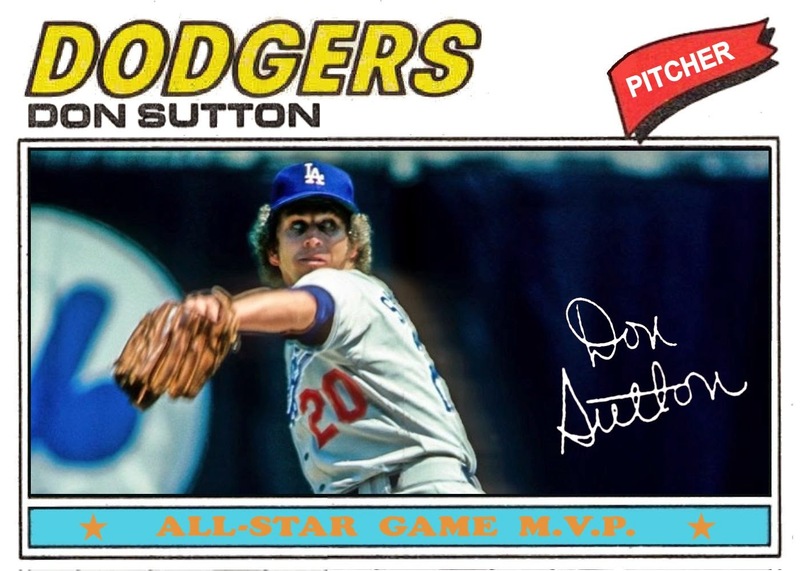 Don Sutton, the starting pitcher, went 3 innings giving up only 1 walk and 1 hit. 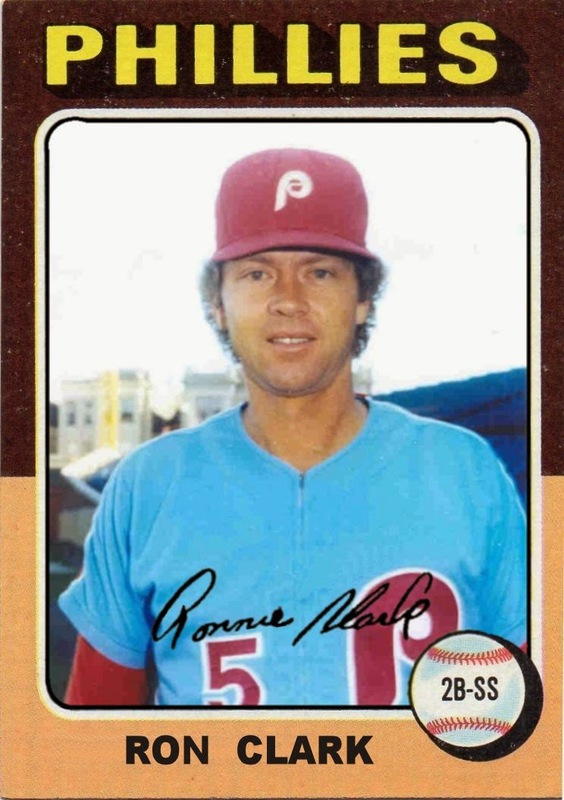 The NL was leading 5-0 when he left the game. The AL would rally to bring the game within 2 runs twice but the Nationals offense proved too much to overcome as they cruised to their 6th straight All Star victory. 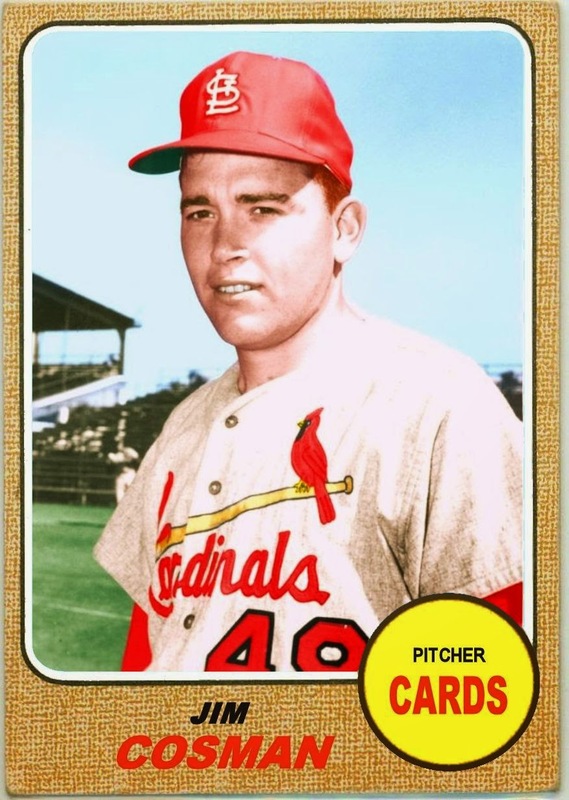 In 1968 and 1969 he played minor league ball for the Cards and the Mets. 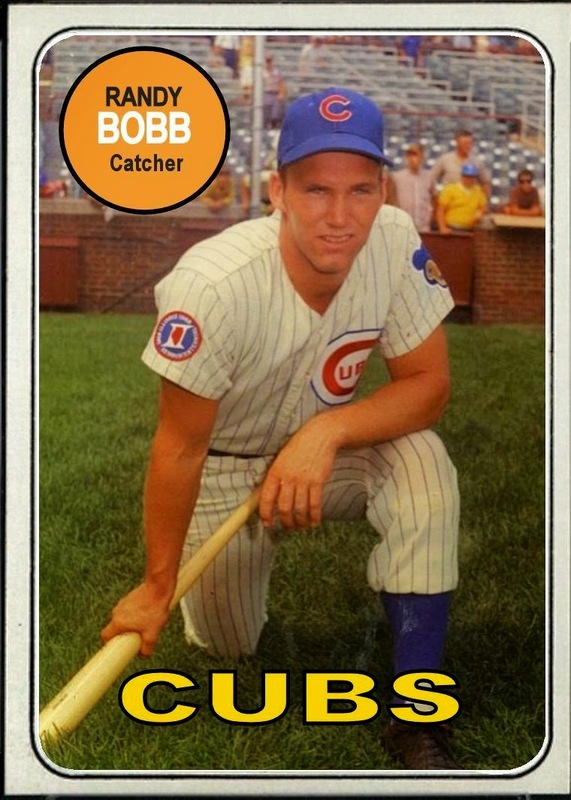 After the 1969 season, the Cubs claimed him from the Mets in the rule 5 draft. 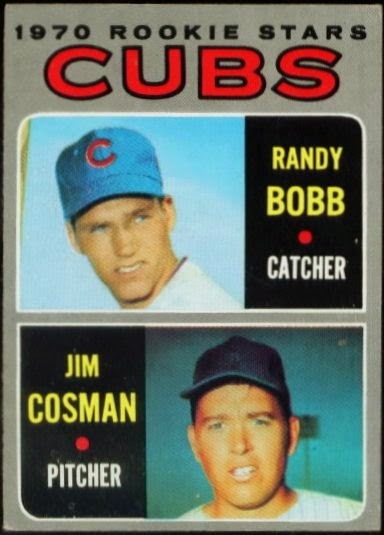 He pitched a single inning for the Cubs in 1970. He was given mop up duty, coming in with the Cubs trailing 6-1 in the 7th inning. The first batter he faced, Hank Aaron, went yard. He gave up 2 more runs on 2 hits and a walk. He never took the mound for a Major League club again. 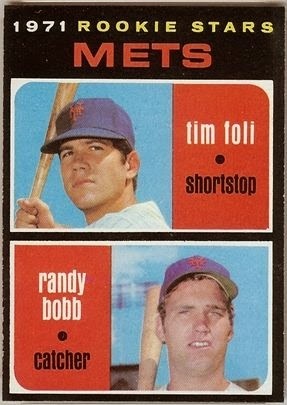 After this card was printed, Randy Bobb never played another MLB game. 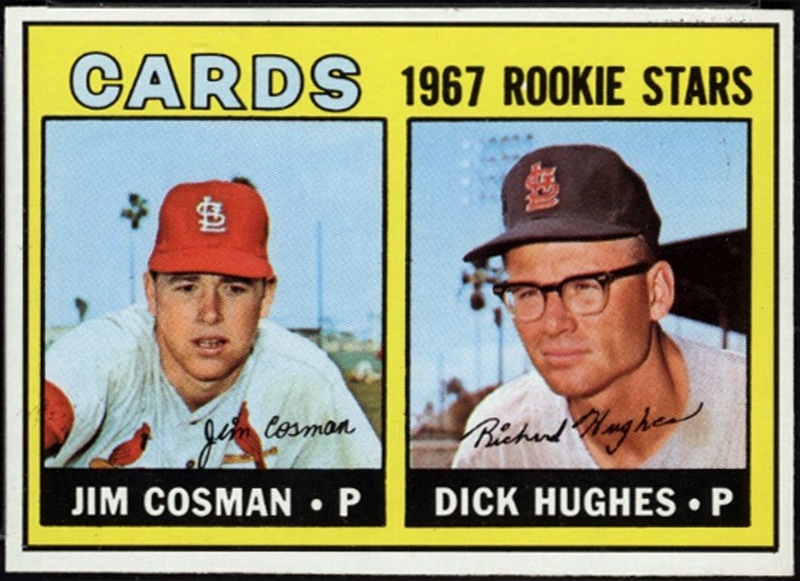 Jim Cosman pitched just one inning and gave up 3 runs. To make things worse, Cosman is wearing an airbrushed (Mets?) cap. There is just no way to put a positive spin on it. If you happen to have this card lying around, go ahead and put it in your spokes. OK, time for a new theme. I've always been a little obsessed with rookie cards. Not just for the players who went on to become stars. I also like the one hit wonders. The way this works is that, using 20/20 hindsight, I will sit in judgement of these rookies. 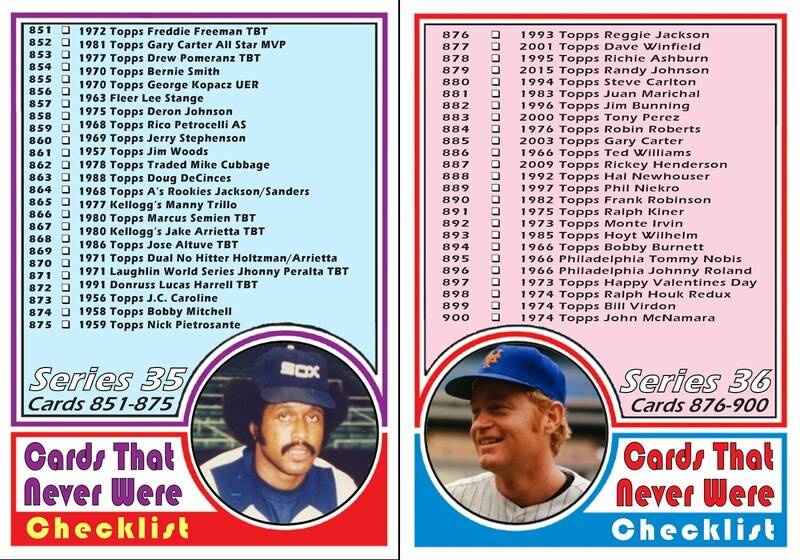 And since the name of the blog is Cards That Never Were, I will try to make relevant cards of the player(s) featured on the card. Moe Ogier is another story altogether. He never did make it to the show. 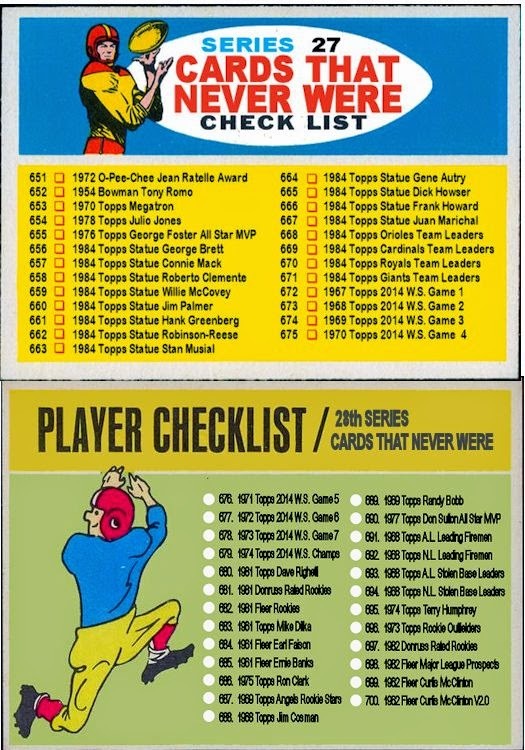 After posting a 13-12 record in single A ball, Topps deemed him ready. 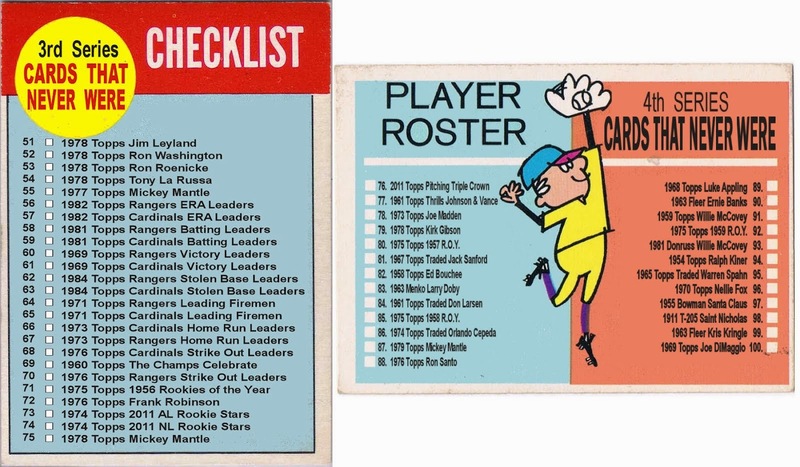 Instead he spent 1968 pitching AA ball for the Charlotte Hornets. 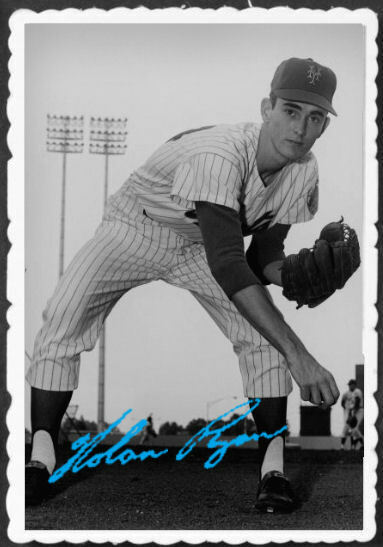 He bounced around the minors from 1965-1971 mostly with the Twins organization but also with the Angels and the Padres. Because he never advanced, I was almost stumped on my first attempt. Almost. I actually found a decent picture of Moe. Unfortunately it was in a Twins uniform. I couldn't really justify giving him his own card as a Twin. 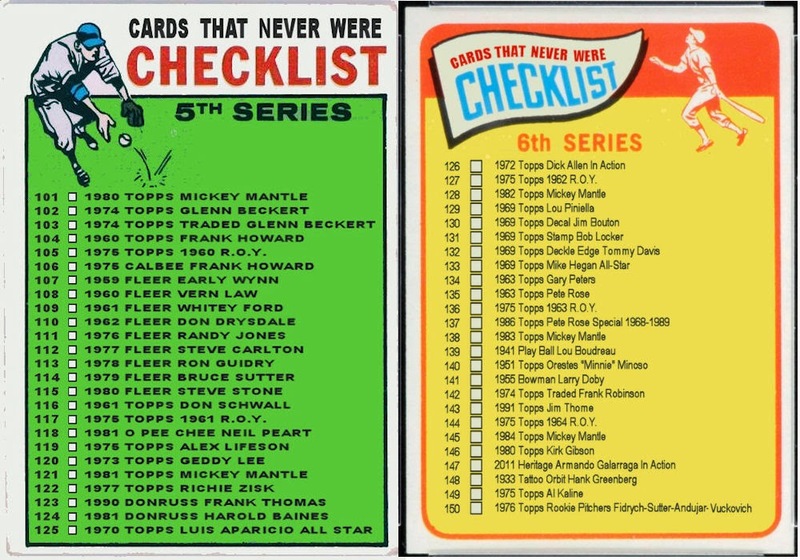 So I decided to think like Topps. 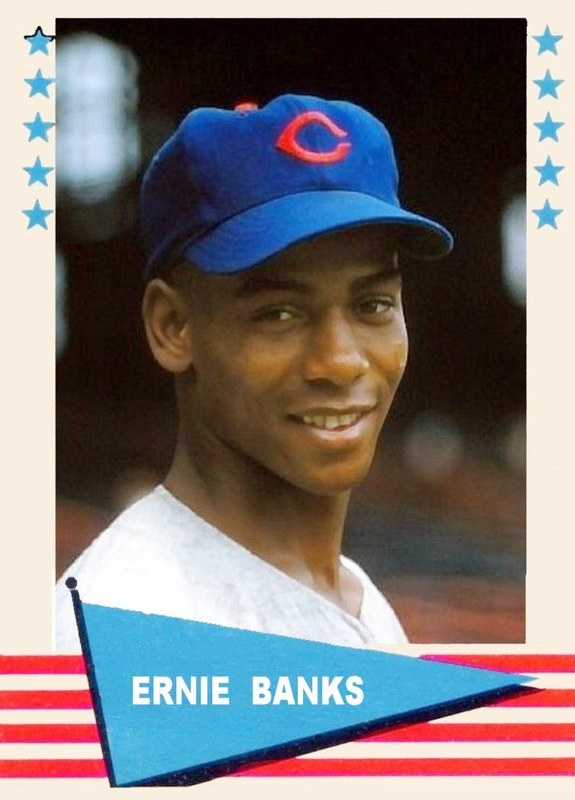 I airbrushed his cap and gave him another rookie card. This time as an Angel. 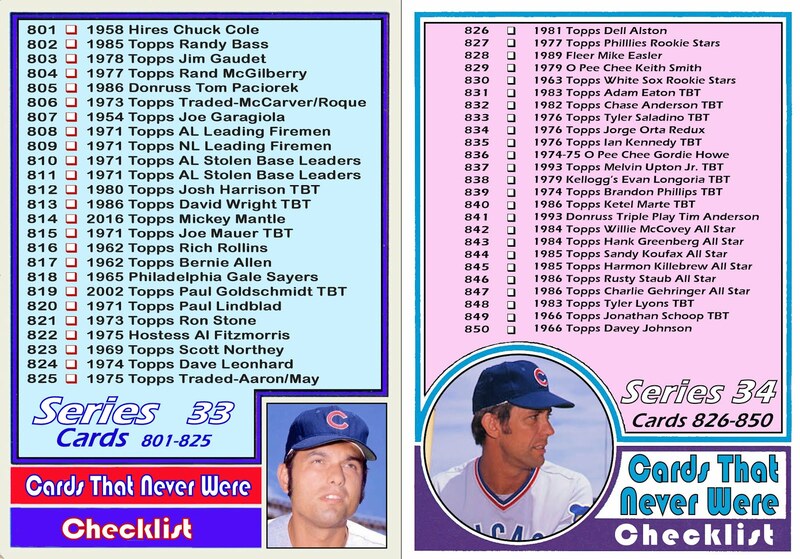 I added Jim Spencer to this rookie card. 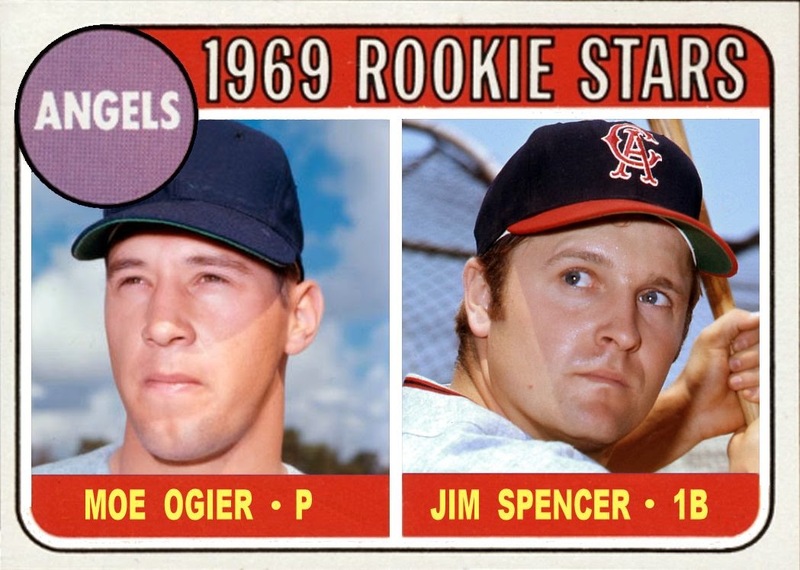 Despite being the Angels primary first baseman in 1969, Spencer didn't appear on a Topps card until 1970. I have to give it a D.
Ogier was a bust. 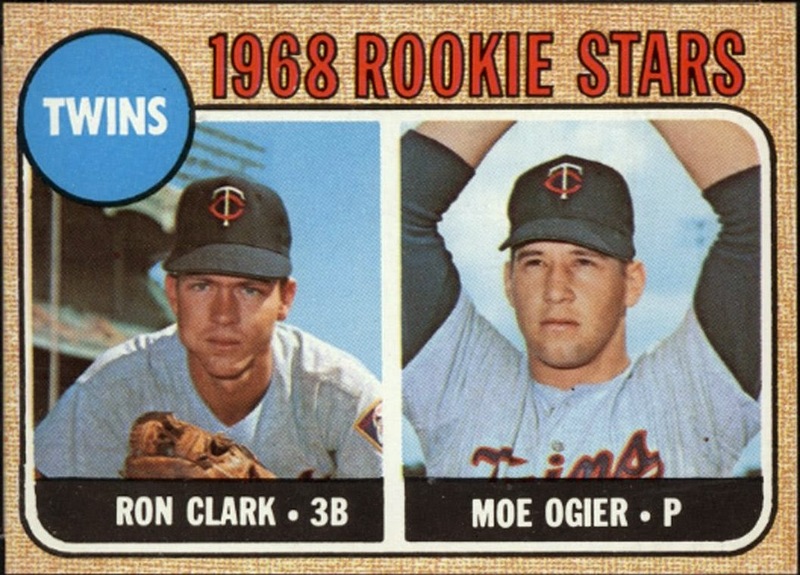 Clark, on the other hand, played in portions of 7 MLB seasons. 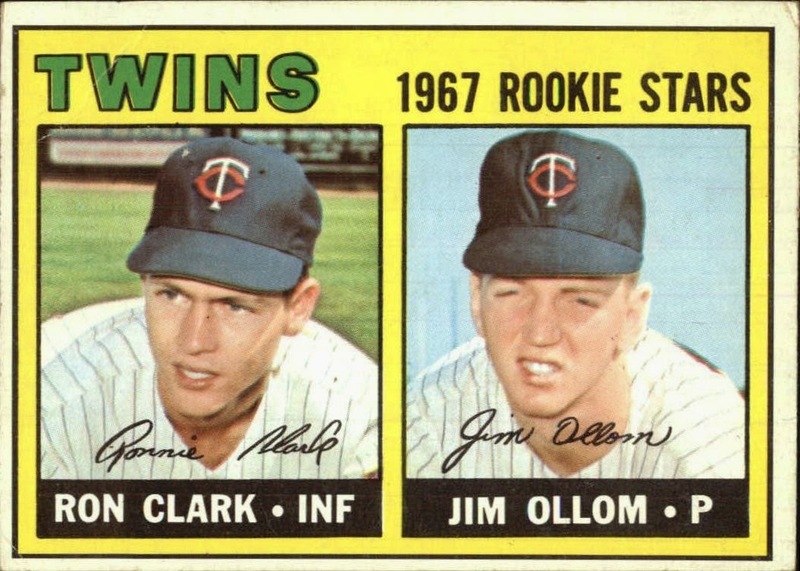 He hit an anemic .189 over his career, but he did play in 104 games for the Twins in 1968 which is the year the card came out. So this card gets a passing grade, but just barely. You may or may not have noticed that I have been absent from this blog for a couple months now. I have just been overwhelmed by work, family, the holidays, you name it. As a result have had less time to spend on my hobby. And that is what this is, my hobby. It is not a money making proposition. In fact it costs money and produces nothing. And I am fine with that. But lately a couple of eBay sellers have been using cards from various blogs and selling them. 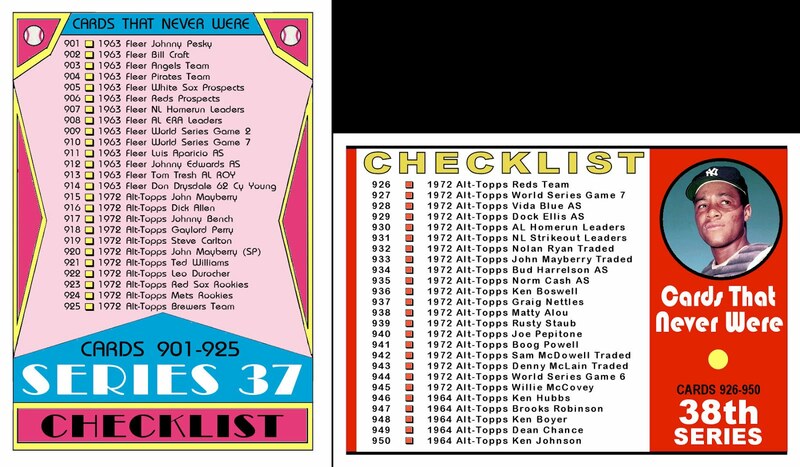 Including this blog plus Bob Lemke's Blog, When Topps had (Base) Balls, Mets Baseball Cards Like They Ought To Be and several other. 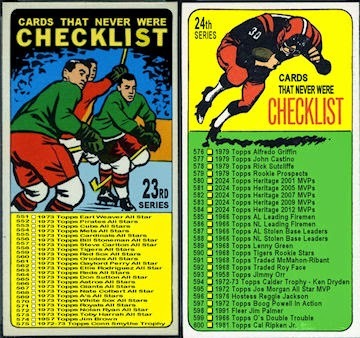 Several times I have had request for physical cards. I have always responded that I make virtual cards only but you are free to use them as you like. I understand collectors (I am one myself). 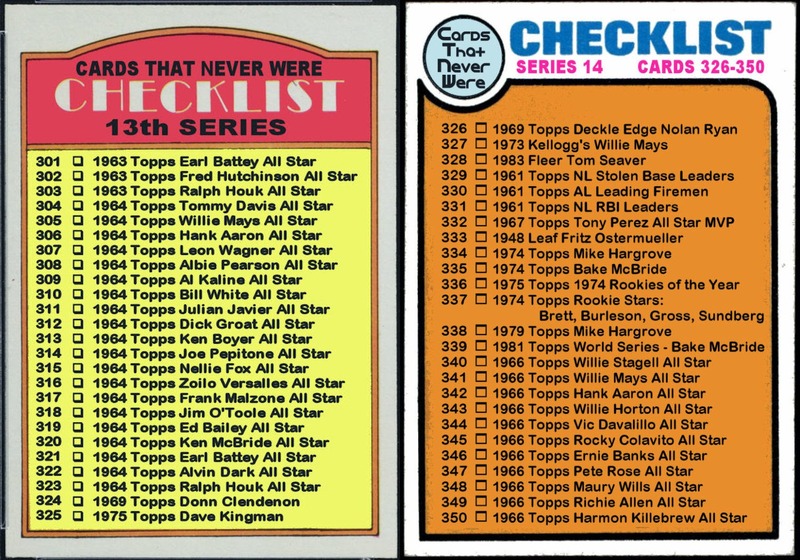 There a many completionists (for lack of a better word) who want to fill in the blanks left by Topps of their favorite player, team or set. Go ahead print one out and put it in your binder. Just don't put them on eBay. Please. The funny thing is this guy has lifted cards from this blog that are not even mine. 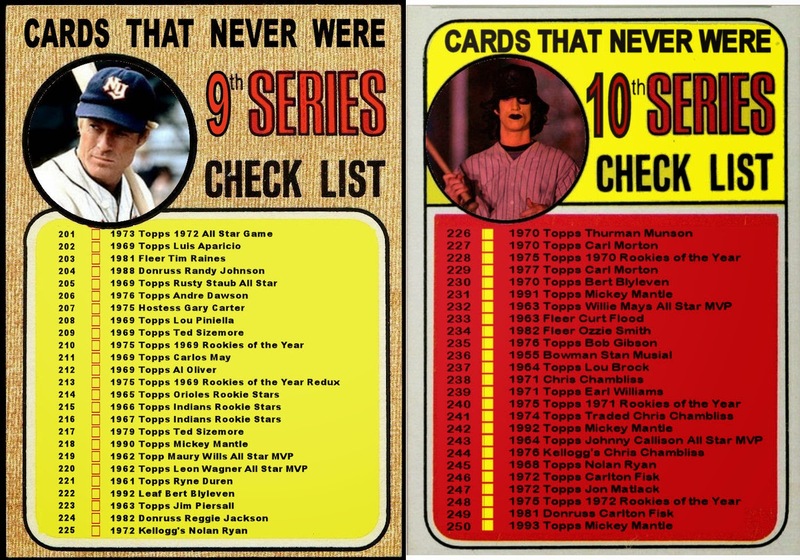 Including this one that was put out by Topps themselves. Which proves that the guy selling our cards, is just looking at the pictures and not reading the text. Some poor sucker paid $15.50 for a print of this with a blank back. 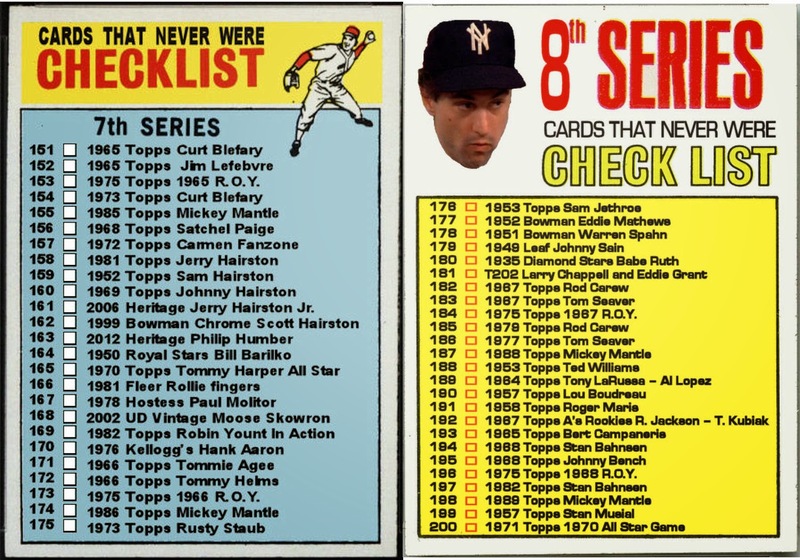 He could have bought the actual card with an actual back, printed by Topps as part of their 2012 Archives set. It is currently going for as little as $0.73 on COMC.com. 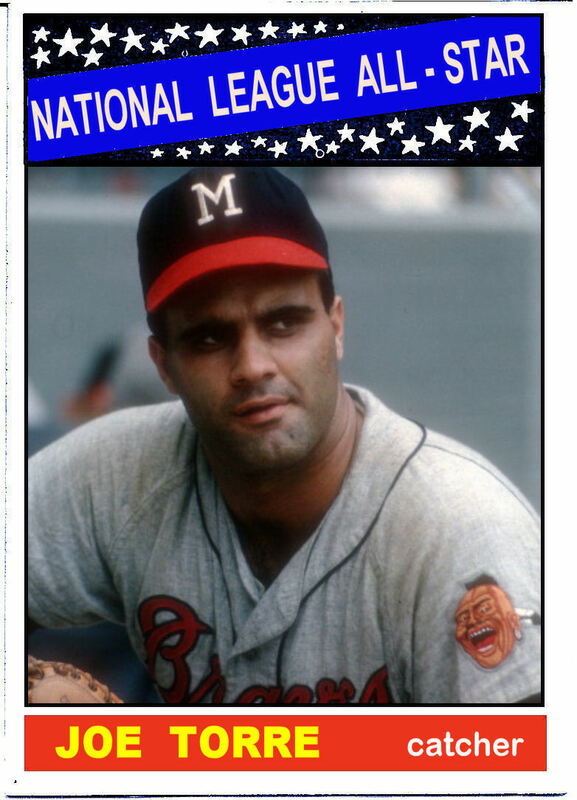 That's even less than my 1966 Joe Torre All Star. I know I've been rambling on a bit here. I don't have a solution to this. There will always be hucksters trying to make a quick buck. 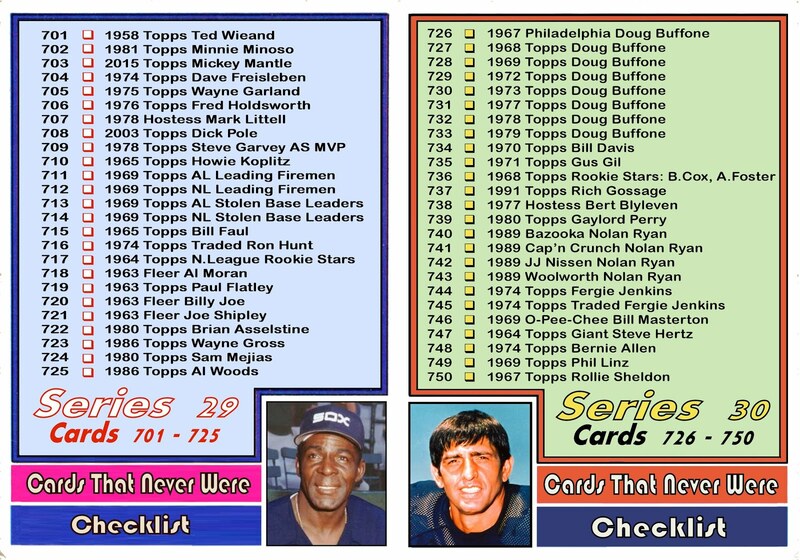 And I agree with the blog written on Baseball Card Breakdown that it DOES hurt the hobby. The best we can do is bring these people into the light and expose them for what they are. 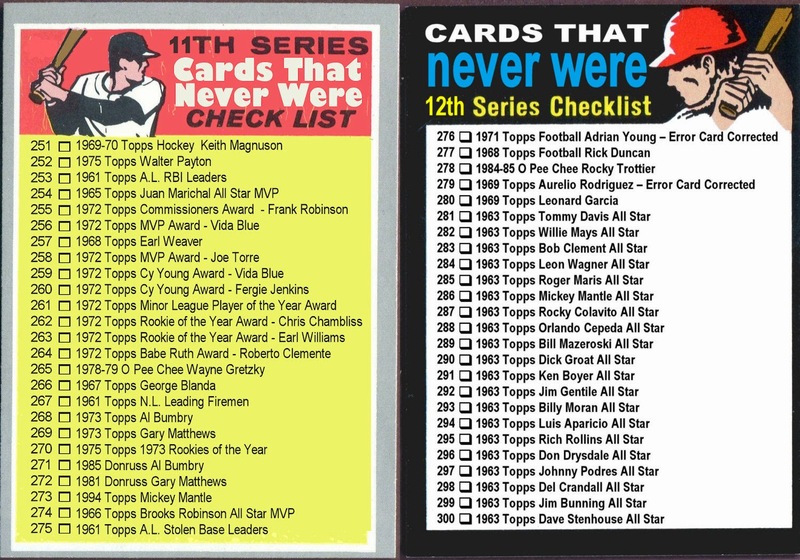 A couple decades ago somebody was printing fake Pete Rose rookie cards. They got caught and the judge allowed the cards back into the market as long as they were stamped "counterfeit". 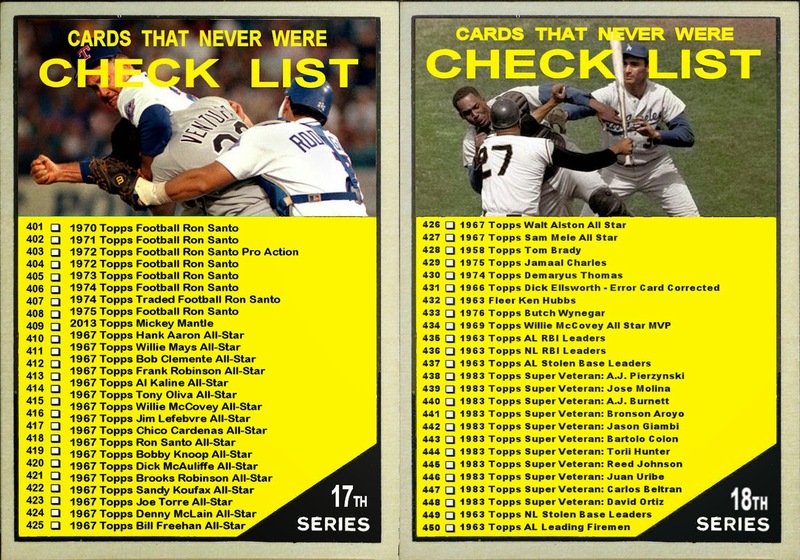 I knowingly bought one of these stamped cards a long time ago for about $10 bucks. 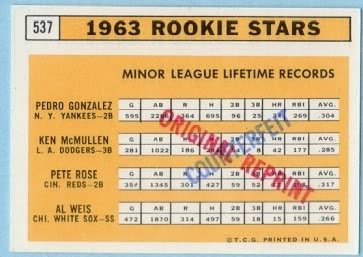 I collect rookie of the year cards and there was no way I would be able to afford a real one. It is currently filling the hole in my binder. 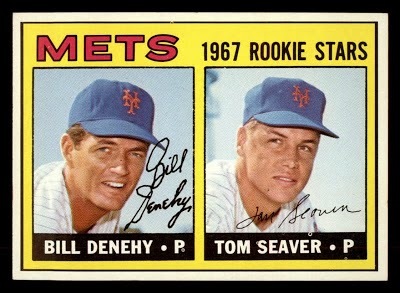 Topps included an almost exact reprint of this card in its 1999 Topps Stars set. No gold foil stamp on the front, No refractor imaging, just a nice clean reprint. This particular card is extremely hard to find. I don't remember what I paid for it but it wasn't cheap. Oddly the autographed version is easier to find and goes for $50-$100 on eBay. I know, rambling again. The point is, I know the hobby. I know what I am paying for. I have knowingly bought fake cards but I knew what I was getting. I made this blog for my own entertainment. It is awesome that other people enjoy it as well. The truth is I would like to have hard copies of a few of my cards as well as some of the cards created by other hobbyists. But I don't want to contribute to these scams. Sorry for not posting in 2 months and then posting a long babbling semi-coherent post. I welcome and encourage comments on this issue. 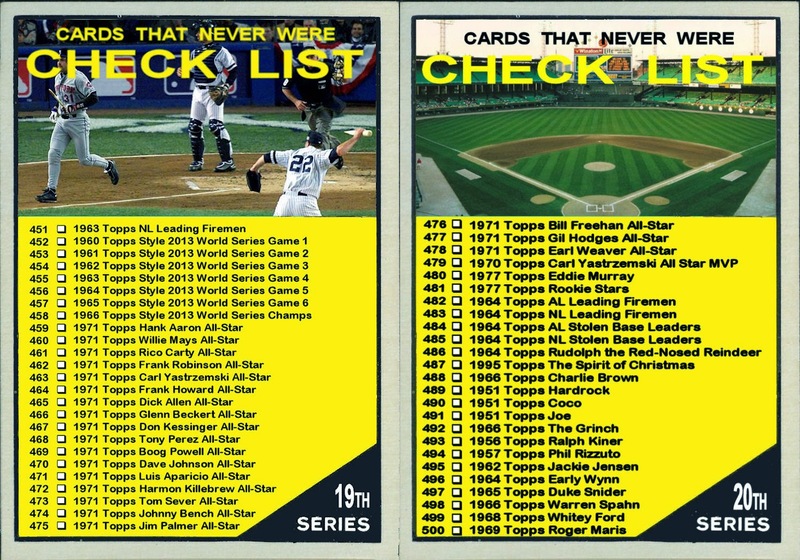 You can post them here, or on Baseball Card Breakdown's post on the same subject. 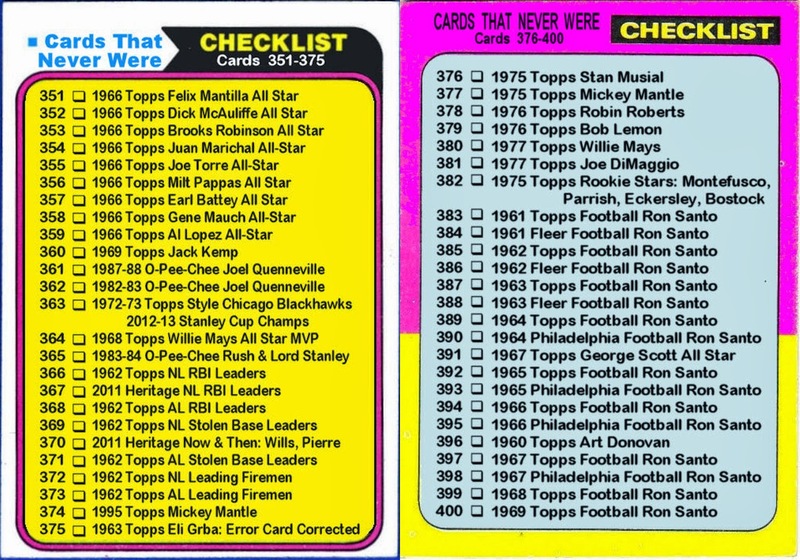 Or on When Topps had (Base) Balls post that started the dialog. I am following all the comments closely.